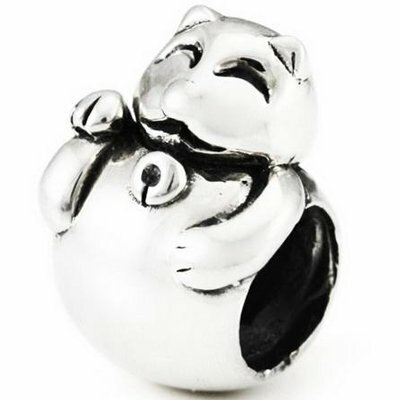 Need a little luck, add this cute Maneki Neko lucky cat bead to your bracelet. This european bead charm is solid sterling silver and is marked .925. It will thread or slide onto European cable style charm bracelets. Compatible with the most popular brands!